Your pond is held in a delicate balance with "Mother Nature". Chemical control is usally a reactive, short-term fix, and is only part of the solution. You must get to the source of the problem to really be in control of your pond or lake. Understanding your water quality - The bacteria currently working in your pond are mainly anaerobic, meaning they do not require oxygen to survive. Anaerobic bacteria will decompose organics at an extremely slow rate while producing by-products such as a "rotten egg" smell (sulfur hydroxcide) and black muck on the bottom of your pond (lake). Anaerobic bacteria are also relatively ineffective at oxidizing nutrients suspended in the water column. 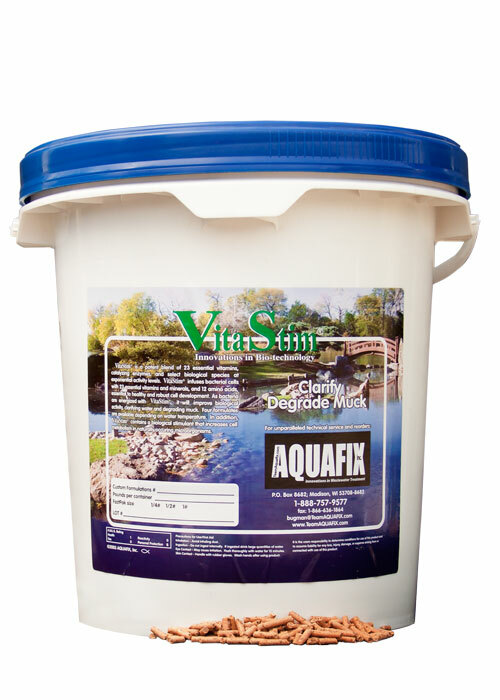 VitaStim MD Pellets, are slow-releases pellets that sink down into the muck to deliver essential bio-stimulants and indigenous bacteria. 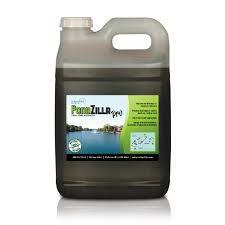 They penetrate and degrade pond muck by stimulating naturally-occurring bacteria and adding sludge-eating cultures. 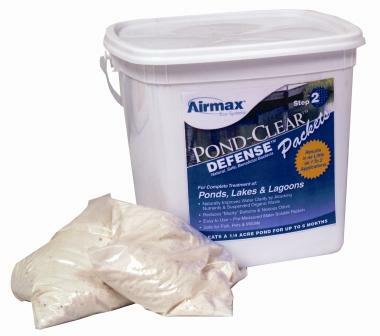 Pond-Clear Packets Improves Pond & Lake Water Clarity Easily and Naturally! 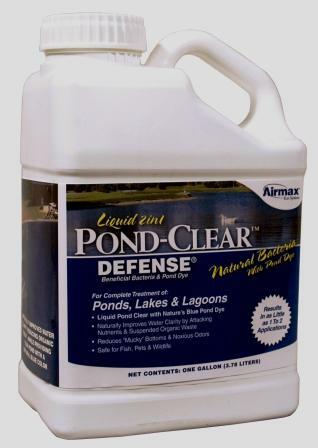 50100 Improves Pond & Lake Water Clarity Easily and Naturally! 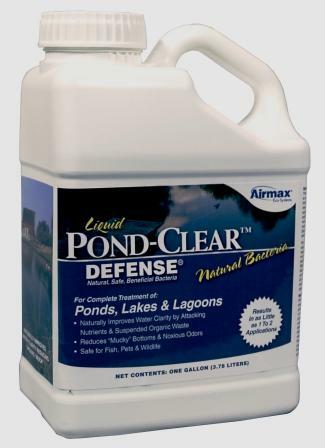 570106 Same Great Pond Clear, but designed for the budget-minded pond owner - allowing you to purchase a month to month supply. 530107 Same Great Pond Clear, but designed for the budget-minded pond owner - allowing you to purchase a month to month supply. 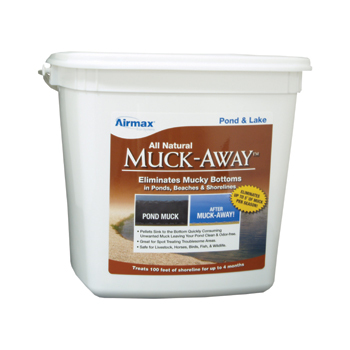 MuckAway MuckAway Pellets are designed for spot treatments for accelerated Muck reduction on beaches and shoreline.